One theory I heard a lot when everyone commented on the looping of time in Rebuilding was that Adam on the Moon was the Eva 01 of the previous timeline. After the EoE-like event of the earlier timeline of this continuum, Eva 01, without propulsion, would have been drawn to lunar gravity and would fall there. Seele found, found out about the reboot and used it to create Eva 06 since it was a "true god". thewayneiac wrote: It doesn't qualify. It was a perfectly legitimate theory until the C.I. came out and explicitly contradicted it. It wasn't crazy at all. Either that, or the cells had a fungus growing inside of them. The Angels are the original wildlife of Earth in an alternate dimension. 2I was caused by humanity opening a portal into that world and getting sucked through the vortex. SEELE is indeed a conspiracy, but is aimed at covering up the fact that humanity is now inhabiting the wrong Earth by force-feeding them a complex conspiracy theory going back into the dark ages. 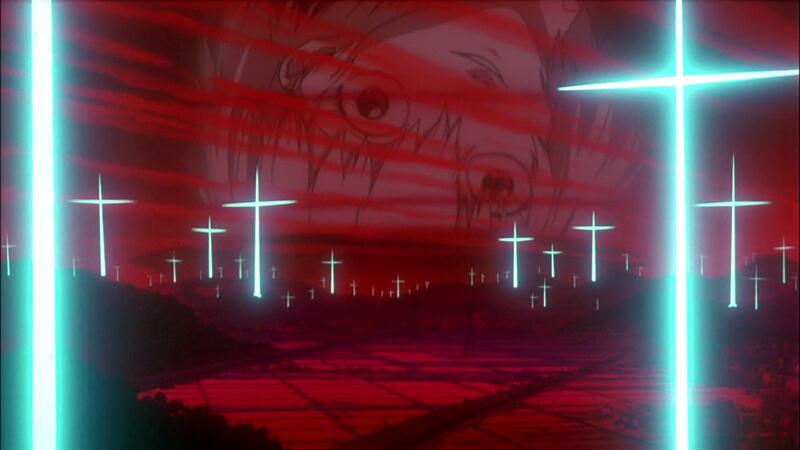 What we witness in NGE is humanity doing what it does best: Exterminating non-human life. 3I was an attempt at regaining the original Earth, but thanks to Shinji being a reckless brat they actually ended up on a third Earth that is even worse than the second one. Is this thread for theories that we've heard about the show from time to time or is for theories that we come up ourselves, even if we don't even take them seriously? I'm asking because I have an example of the latter. cyharding wrote: Is this thread for theories that we've heard about the show from time to time or is for theories that we come up ourselves, even if we don't even take them seriously? I'm asking because I have an example of the latter. Pretty sure both are perfectly valid. 3.0+1.0 will be literally a combo of Eva 3.0 and 1.0, one playing after the other. kuribo-04 wrote: 3.0+1.0 will be literally a combo of Eva 3.0 and 1.0, one playing after the other. Stable time loops are cool yo. Anyway, this isn't a specific theory, but TV Tropes seems to interpret some of the scenes from NGE and End in odd ways. Notably, it interprets Asuka and Shinji on the beach at the end as evidence the rest of humanity isn't coming back - not because they can't, but because they chose not to. According to the tropers only 2 people out of 3.5 billion don't feel like being soul soup. If anything it should be confirmation more people will come back. Taking the ending at face value, everyone else ascends as stardust, while the two pilots are left in their own special damnation, in the anti-Eden, the wilderness at the End of the World. ^ Are we sure they aren't the lucky ones? They got to keep their individuality while everyone else became one with each other in the Fanta-sea. @DarkBluePhoenix: Instrumentality explicitly ended, and the souls in the ocean are all separated from one another by ATFs. Apart from inspecting snatches to check the registration of sub-titles against the Blu-ray, and things like that, it's actually just a couple of months shy of 15 years, now. However, I still have notes from near that time, even though the earliest time-stamped record I can find of same here dates from 4½ years after viewing. With the sequence being first the Black Moon bursts, then Lilith/Rei collapses, and only afterwards do all the crosses that had spread over the Earth ascend, it all seemed like a hybrid of a Rapture and a panspermia event, at least through the eschatological goggles I was watching with. The crosses don't represent souls. The little red dots do, and those expressly fell back to Earth. ∆ That's a nice interpretation of that sequence. Never thought of why the crosses go up. Gendo's visor in 3.0 is connected to Shinji's mind so that he can always see and hear what he does, and he does have a telepathy link with him (he was the one calling him using Rei's voice at the beginning of the movie). Or hear me out, the third child plus the first angel or even unit 13. ChaddyManPrime wrote: Or hear me out, the third child plus the first angel or even unit 13. Or Shini tormented by enhanced versions of all angels that instead of cores wear his face distorted in an eternal scream, reminding him for an eternity of all he did wrong. I dare to disagree with that, since in my theory Mari is simply an incarnation of Daria Morgendorfer, who entered the Sick Sad World for the second time. Her first incarnation was Matarael of course.